THE dreaded Hungry Ghost Month rolled around on August 11, and like clock work, it seemed anything and everything that could go wrong did. The monsoon season, influenced by Typhoon Karding, brought in torrential rains and floods that threatened to put Marikina and other low-lying areas through the same level of damage they suffered when Typhoon Ondoy in 2009, turned them into muddy pools of death and destruction. Then just last weekend, there was that Xiamen Air misapproach at the Ninoy Aquino International Airport runway, which caused its plane careen off to one side. The plane blocked the way of inbound and outbound flights by numerous carriers. The accident caused massive delays of local and international flights over two to three days, and thousands of harassed and infuriated passengers in terminals in Manila as well as other major provincial airports. The Chinese believe that during the Hungry Ghost Month, the gates of hell are open to allow spirits to roam freely on earth. As such, mayhem usually follows as these ghosts play tricks on the living. We become their source of entertainment as we try to cope through canceled flights, illness, financial misfortune and other bouts of bad luck. Geomancers even attribute the assassination of former Sen. Ninoy Aquino on August 21, 1983, and the terrorist attacks on the World Trade Center on September 11, 2011, to these spooks. As you can see, these ghosts mean business. No trick is too small or large for them to undertake, and unless pacified, sure death will follow. Fortunately, there are ways to appease these ravenous spirits. Feng shui expert Marites Allen offers a few tips so we don’t fall prey to their mischief. OFFER THEM FOOD. Yes, our “friends” from the spiritual realm are literally hungry. They have been locked up in hell for 11 months after all. So to ease their discomfort, we can lay out plates of food for them. An alternative is to light incense as the scent keeps them at peace, or burn paper money, which makes them think they are rich. WEAR BRIGHT COLORS. Keep your little black dress in the closet for the meantime; it will attract the spirits and allow them to linger around you. Bright colors like red, pink and orange, will scare them away. KEEP YOUR SURROUNDINGS WELL-LIT. Spirits revel in dark corners and shadowy places, so during this month, it’s better to switch on most of the lights in your home or office. It also makes sense to keep these places always neat and clean as dirt and grime attract negative energy. Pay particular attention to enclosed spaces like cabinets and drawers and dust them regularly. PLAY MUSIC. Not any kind of music though; keep your Metallica and Black Sabbath CDs in the drawer. Light, peaceful melodies that exude happiness and harmony will keep those phantoms placated. AVOID CEMETERIES, WAKES OR FUNERALS. Death, sadness and grief are negative energies that spirits are attracted to. Don’t go to hospitals as well, because illness, likewise, is a harbinger of negativity. DON’T GO OUT AT NIGHT. The energy of spirits is at their peak when night calls. If you must attend some events scheduled in the evening, go home early. Also wear feng shui charms to protect you from any misfortune. POSTPONE MAJOR LIFE EVENTS. As the Hungry Ghost Month teems with negative energy, one should postpone major events that drastically change one’s life and future. These include house construction or home renovations, contract signing, buying properties, moving to a new house or a new job, among others. Also spend prudently during this time, and try to relax and project positive energy into the world. It certainly won’t be easy, but keeping one’s cool especially in the face of these spectral challenges will prevent them from taking hold over our lives. 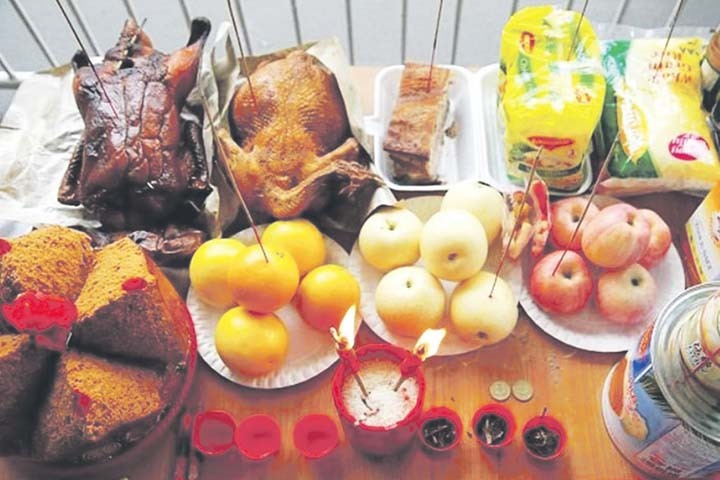 The Hungry Ghost Month ends on September 11.